Years after email was supposed to die, suffocating beneath a pile of tweets and status updates, the medium continues to stay alive. Despite having been around since the 1970s, email is still the single most effective means of engaging, acquiring and retaining new customers for anyone who operates an e-commerce business (or any digital business for that matter). Look at those conversion numbers. Too big to ignore. So let’s take a look at some of the most effective email marketing strategies, examples, and see what you can replicate in your own business. Emails that are automatically sent from your e-commerce store based on the real-time behaviour of your customers. By behaviour on your site. 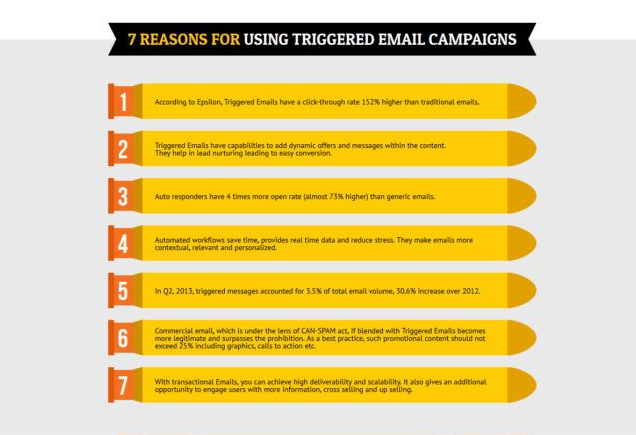 A new report by Yes Lifecycle Marketing reveals that trigger emails generate 5 times the click-through, almost double the open rate and triple the click-to-open rate of non-trigger or Business As Usual (BAU) communications. 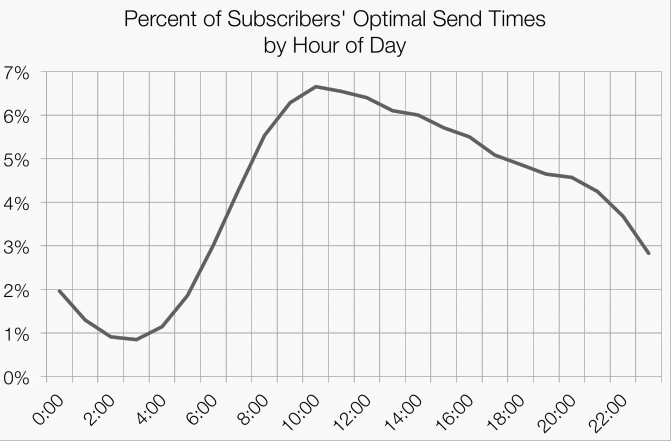 In short, triggered emails are the opposite of a bulk email, for example, a fortnightly newsletter sent at a scheduled time to your entire list. 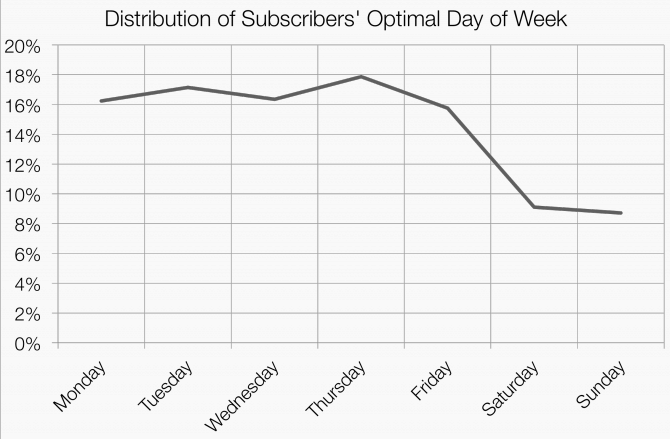 They are also based on the accumulation of data you have on your site’s subscribers. 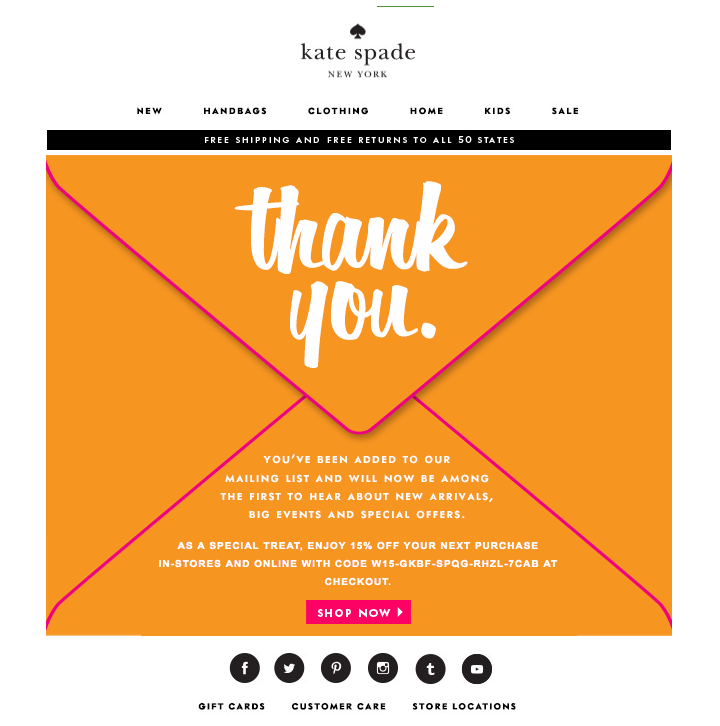 We recently published 7 Trigger Emails You Should Be Using For Your Ecommerce Store. We recommend you give it a read. 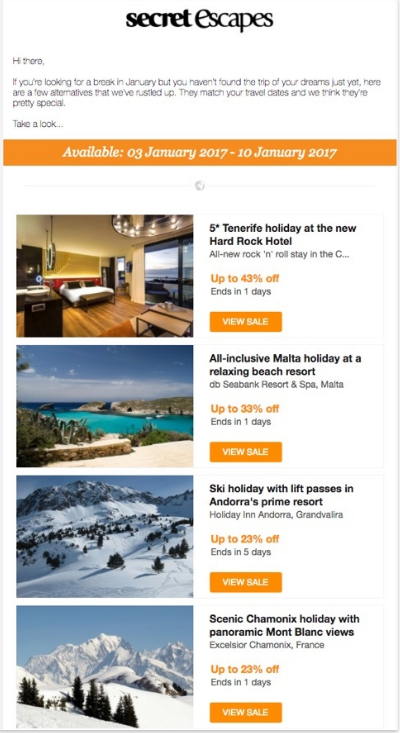 Below is a brief description of the types of trigger emails we think are must-do’s, including four we believe are stand alone email marketing strategies in their own right. Download our FREE PDF with our email marketing campaigns checklist! The Baymard Institute figured out recently that the average rate of shopping cart abandonment was just over 67%! This means that for every 100 dollars you earned, another $67 was potentially left in the cart. It’s a huge number. When this happens to you, it’s time to launch an abandoned cart series. We’re confident in saying that it’s by far one of the best email marketing strategies you can have as an e-commerce business. These act as a reminder that your customer has unpurchased goods in the cart and should contain a link, like the above example, that takes them back to their shopping cart. We recommend 3 in the first 48 hours. The first one within an hour, and the last somewhere inside 48. Depending on the reason the customer not going through with the transaction, the first one could be all that’s required. If so, cancel the next two – it tends to feel like harassment. 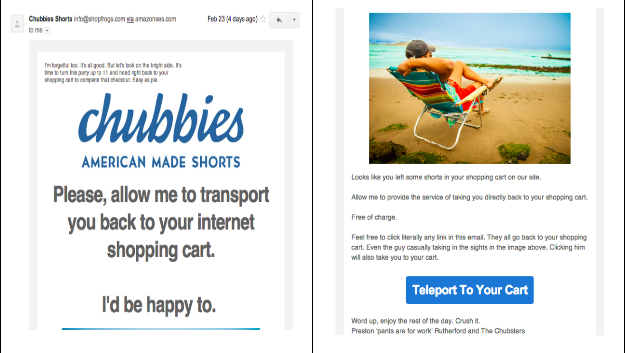 Check out our earlier post 10 Of The Best Performing Abandoned Cart Emails to see samples of abandoned cart emails that work. At MageMail, we specialize in this part of revenue protection. So far we’ve recovered over $80M for our customers, with the average client recovering 15% of total abandoned cart sales. 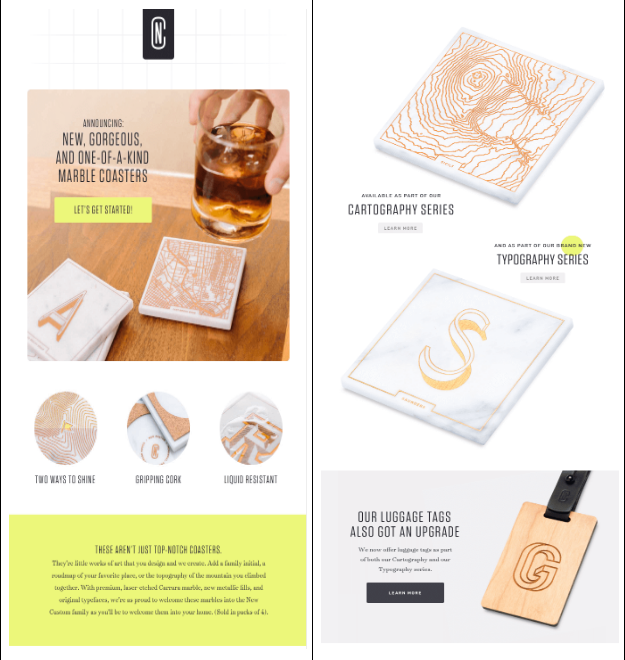 Recently we published 14 Examples To Help You Craft the Perfect Welcome Email. We recommend giving it a read, because, in a world where first impressions count, a good welcome email is critical part of your email marketing strategy. By these numbers from Experian, welcome emails have an open rate 4 times higher and a click rate 5 times higher than most other emails you’ll ever send. 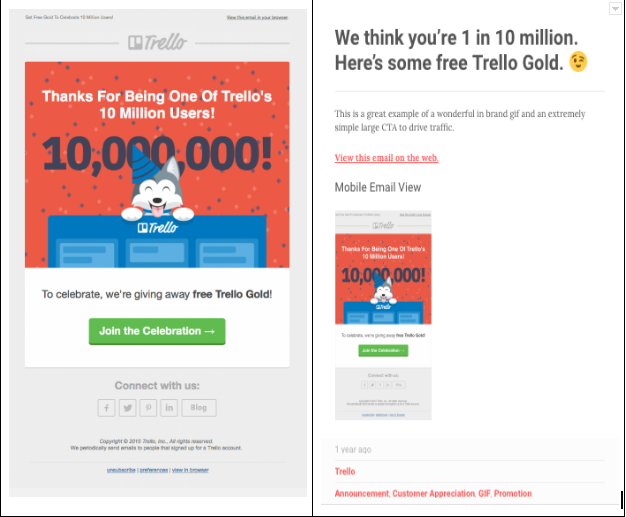 Transactional emails like a “Thank You” are great for establishing trust. Be sure that when you thank customers you’re also adding value though. A large percentage of your list will be dormant or “inactive”. Simply win them back by making them an offer they can’t refuse. Strike the right tone, make it simple, and don’t come off desperate. At the end of the day, if your win-back series doesn’t work, you’re best off removing these customers from your list. Mine the list you have. You’ve worked hard for it. 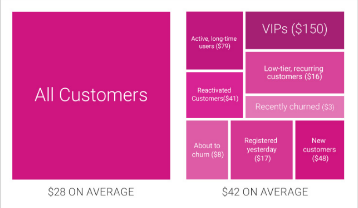 The best e-commerce vendors will always send “upsell offers” based on any number of metrics. It’s another way of working the customer base you already have, rather than investing the money you’ve already spent again on finding newbies. Upselling can be done in a number of ways. Kissmetrics talks about the art of upselling in this great article. Customers who spent a certain amount on previous purchase might receive an opportunity to do the same for extra value. 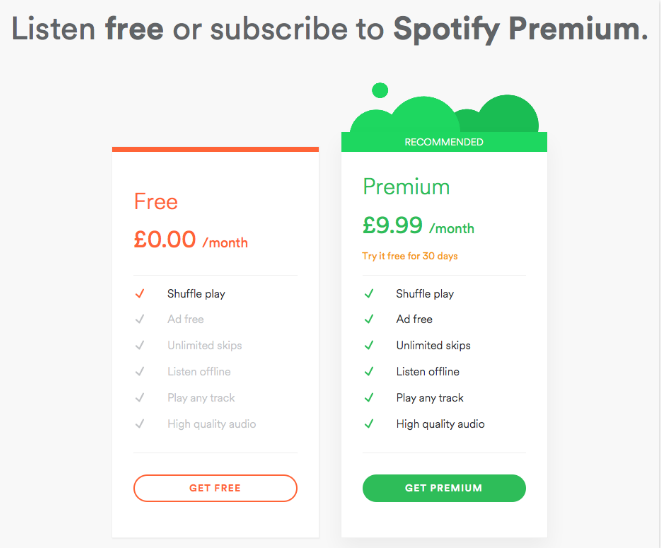 Comparing two options side by side is also a great way of upselling your product. It’s not spammy if it adds value to their lives. Making it easy for them to compare is important. If being considered an expert in your field is important, you need to start sending these. Especially in a B2B environment, where you might be expected to be a ‘thought leader’. Seth Godin is a great example. He emails his daily thoughts to his hundreds of thousands of subscribers daily, weekly or monthly – you decide. A well-timed email about a topic relevant to you subscriber’s interests will aid recall of your brand and add credibility amongst your peers if carefully targeted. Alternatively, if your audience loves quality, shareable content, it might serve you to curate a “best in class” type of email that users will gain kudos from amongst their own social networks. Be careful that these don’t stray too far from the original interaction however. It’s a fine line between building community and being irrelevant. Proceed with caution. The update email might the very reason people have subscribed to your list! Don’t ignore this simple fact. They were interested enough in your product to begin with, don’t miss out on the opportunity to keep them informed of your latest creations. When sending the update, like the one above, you should know who in your list is most likely to be interested in what, meaning you can personalise and tailor your message for maximum return. 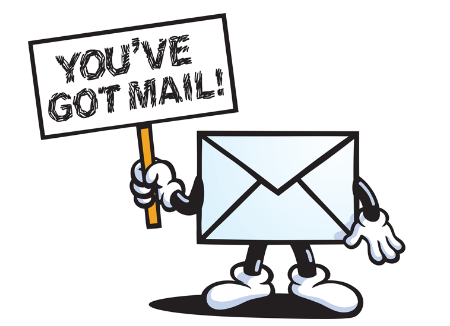 This brings us to another email marketing strategy almost guaranteed to net you a better ROI. 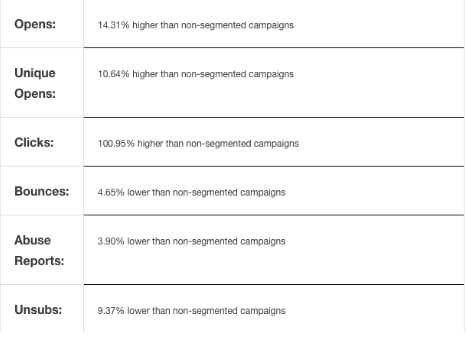 Proper segmentation of your email list will increase the value of your email marketing campaigns. The graphic below demonstrates how dividing your audience into usable groups will benefit your customers average spend. It follows then that because the information you put in them is likely to be more personalised and relevant, open rates and click-through will be stronger. At MageMail, we tend to prefer targeting consumers based on their behaviour. Simple geographics and demographics aren’t as reliable as past behaviour. Remember, segmentation is not about reinventing the wheel. The best indicator of whether a customer will buy is whether they have bought before. This might not be the biggest group in your list, but it is the most valuable. Optimove did some great research in this area that confirmed customer spend uplift was highest when the segmented group was smallest. Another way we like to segment is by customer lifetime value (CLV). It makes sense that the more a customer spends with you, the more you should value that relationship. Simply going through the process can be of value too, and not just at the higher value end of your list. Seeing where your list has the highest potential for growth is also very useful. Turns out hearing the sound of own names is one of the sweetest things we can hear as humans, so it makes sense that we like to read it too, but it’s not the only way we can personalise emails. 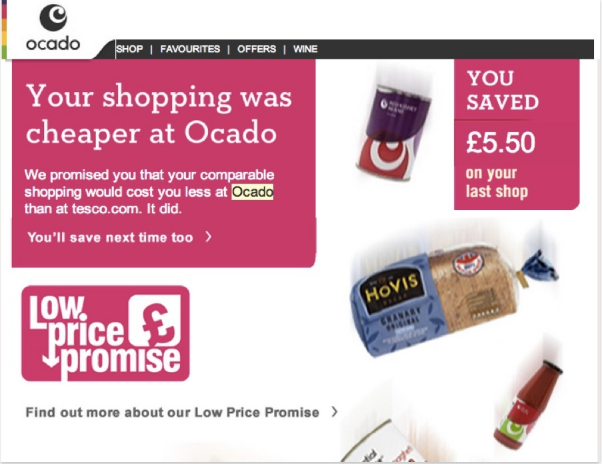 Overt personalisation tells the receiver immediately that email is intended for them. A birthday email containing recommendations based on previous searches and profile information would be an example. Covert is more subtle, and may avoid putting people off in cases where they aren’t sure how you might have their personal information. This is key. 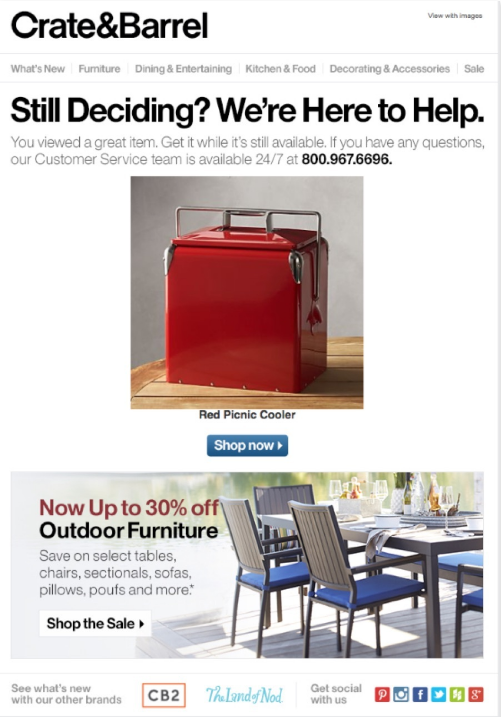 The above email from Crate & Barrel puts the emphasis on customer service, while still integrating previous search data. It’s s a ‘soft’ abandoned cart email. Timing is critical, and ties directly into the previous two strategies – segmentation and personalisation. If you know your list intimately – which you should – you’ll understand the open behaviour of each segment. The result should be that your email marketing campaigns are sent at a time most advantageous to you. Conventional wisdom says this is between 12pm and 4pm any day of the week, but be sure to test this with your list. If your customer base is spread out internationally, this could be the first way of segmenting your audience. 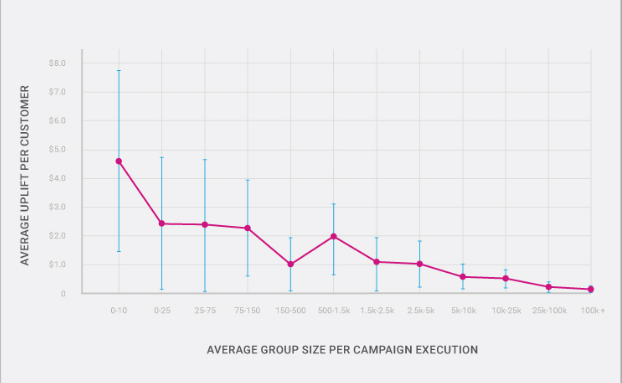 Check out these insights from MailChimp. It pains us that some people still aren’t getting this. Especially when we know that 74% of smartphone users check their emails using their mobiles, and that 56% of all emails are opened on mobiles devices! Not optimising in this area is seriously wasteful, and grounds for firing your marketing manager. Investing in this is critical to your e-commerce success, especially if you also own a physical outlet. More than half of e-commerce searches local to your store result in a sale, making mobile optimization a no-brainer. 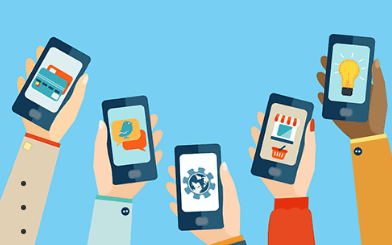 Check out this great article from Entrepreneur magazine about mobile optimization. It’ll tell you the answers to the questions you need to be asking. Neil Patel has the topic covered here too. Any relationship you have should be consensual. Permission marketing is a term coined by bestselling author Seth Godin, who uses it to describe the fact that your list can opt-in and out at any time. That means there’s no intrusion and no friction because people have opted to hear from you! The relationship you build with your email list shouldn’t breach anti-spam legislation either. There are fines waiting for you if you do. Get consent: This is express permission or opt-in from your list to send commercial email messages. Always offer an opt-out: Why would you want to market to someone who doesn’t want to hear from you? 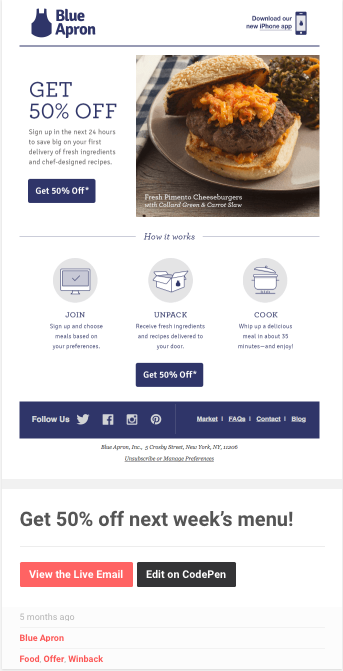 Use these email marketing strategy examples to start crafting better communication with your audience. Remember, email is still the preferred way consumers want to talk to brands and a huge opportunity to engage, acquire and retain new customers. With an effective email marketing strategy, your conversion rate will skyrocket, so don’t be afraid to test what works best for you. We hope this article has been a helpful insight. You’re now ready to get out there and DO IT. Nice work Erik 🙂 I’ve found offering an incentive for email signups to be one of the most effective strategies. This can be in the form of a discount code or e-book for example. Thanks, Carmine. Yes, you are right. Discount codes and e-books are really effective incentives for acquisition. In fact, this is a key feature of our other portfolio product Groovejar (https://www.groovejar.com), which has a set of popups and banners to capture emails. Thanks, Startup Arena! I’m glad that you enjoy our blog. Posts go up once a week. Insightful article! Thanks for sharing such valuable information. Keep doing good work.